The design of this building was inspired by the bending form of bamboo itself. 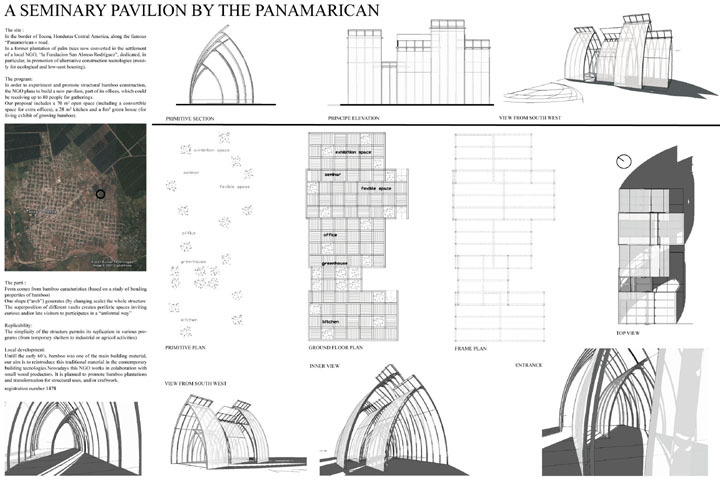 Its intended as a pavilion with offices and a greenhouse for an NGO in Honduras. The superimposition of vaults creates a very unique and dynamic space.